A PRIMARY school in Bukit Mertajam has fully adopted digital learning and teaching, thanks to YTL Foundation and Bukit Mertajam MP Steven Sim. The school, SK Stowell, is equipped with 18 projectors in all its classrooms. It is also equipped with a Frog Classroom – a unique 21st century learning space, designed to enable the use of technology, creativity, critical thinking and other components in education. The ‘makeover’ and equipment were funded by YTL Foundation and allocation from Sim. Teachers were beginning to teach their students using the Frog Virtual Learning Environment (VLE) in classrooms, while the students can complete their homework and do their revision in a fun way via FrogPlay. 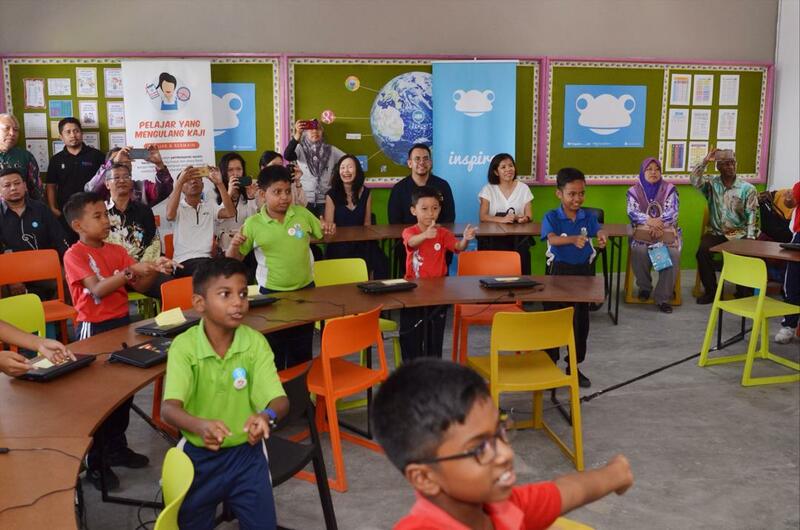 “I believe that with this digital technology platform, the burden on teachers would be lessen,” Sim said during the opening ceremony of the Frog Classroom at SK Stowell on March 21. Sim congratulated the school for becoming a role model for other schools in Penang. SK Stowell headmaster Jamil Omar said students were paying more attention in class when teaching was conducted using Frog VLE. “This platform also improves their (students) confidence to be more interactive,” Jamil said. Sim, Jamil and other teachers also visited the classrooms to witness how the teachings were conducted. Schools can apply to have a Frog Classroom in their schools. However, the selection is based on criteria. Visit www.frogclassroom.com for more details.